According to the provisions of Law 15/1999, we inform that the data obtained through this website will be incorporated into an automated file under the responsibility of Hotel Carlemany in order to address your questions and refer you related information that may be of your interest in our hotels in Andorra and others. While not communicate to us otherwise, we understand that your data has not been modified, you agree to notify any change and that we have your consent to use for said purposes. What types of information does Hotel Carlemany gather about its users? 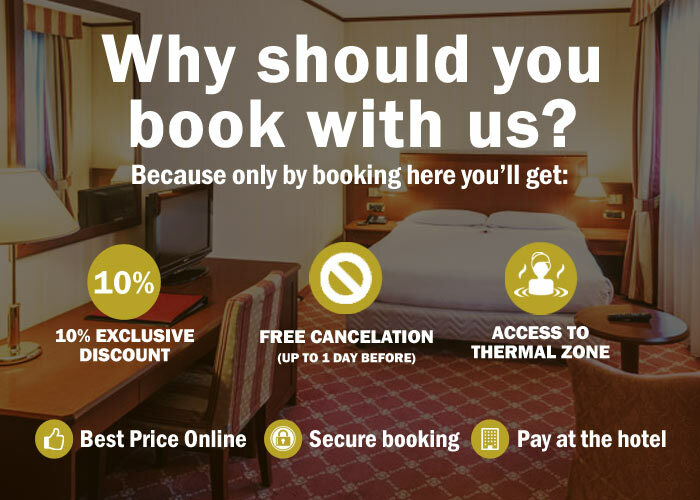 Fill in any form on the website, such as when you search for accommodation, make or accept bookings, pay for accommodations, book or pay for any associated services that may be available. Staying in our spa hotel in Andorra, you will have access to Piscina Termal Muntanya, an active thermal pool. At a temperature of 27 °C, it consists of a children pool and a great spacious for rest, bathed in soft sunlight. The thermal water stimulates circulation, relaxes the muscles and produces an absolute sense of relaxation and wellbeing.